The latest target of identity thieves is not you, but rather your children. With little to no financial history, minors make an unsuspecting and easily exploited target. 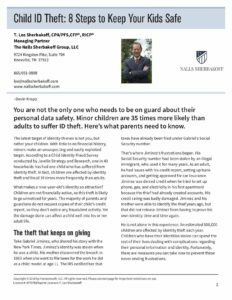 According to a Child Identity Fraud Survey conducted by Javelin Strategy and Research, one in 40 households has had one child who has suffered from identity theft. 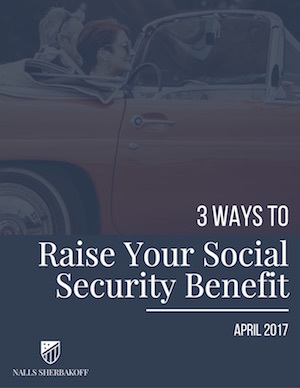 In fact, children are affected by identity theft and fraud 35 times more frequently than adults. What makes a nine-year-old’s identity so attractive? Children are not financially active, so this theft is likely to go unnoticed for years. The majority of parents and guardians do not request copies of their child’s credit report, so they don’t notice any fraudulent activity. Yet the damage done can affect a child well into his or her adult life. Click the thumbnail below to read or download the full story.